The ideal response of a velocity microphone is given by |cos A| where A is the angle of incidence of the sound wave upon the microphone. An ideal response is plotted below. If it were possible to fabricate a perfect velocity microphone with a perfect cosine polar response at all frequencies, it would represent an almost perfect encode system for the capture real acoustic sounds for replay over loudspeakers. Such a microphone would be - in effect - an acoustic sine/cosine pan-control. For more information go here. Unfortunately, all figure-of-eight microphones tend to "beam" and become more directional with frequency. An example of the polar response of a practical microphone is given here. In fact, this represents a very good performance, and many practical examples show a more pronounced effect than this. The result of this narrowing of the high-frequency response will be to exagerate HF cues with respect to LF cues because - for a given obliquity θt, a greater interchannel ratio will be encoded at HF than at LF. This will lead to distortion of the HF image which will bias side-response with respect to centre-response. In other words, the distortion will be of the same form as the unwanted head-shadow distortion already noted in standard stereophony. 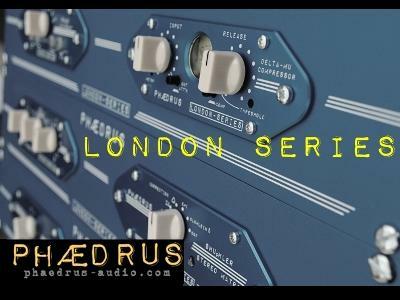 © Phædrus Audio 2012. All rights reserved.